Here's an interesting article explaining the needs of babies, our/society's unrealistic expectations of their behaviour which clash with what is actually completely normal for a carry mammal (i.e. human). 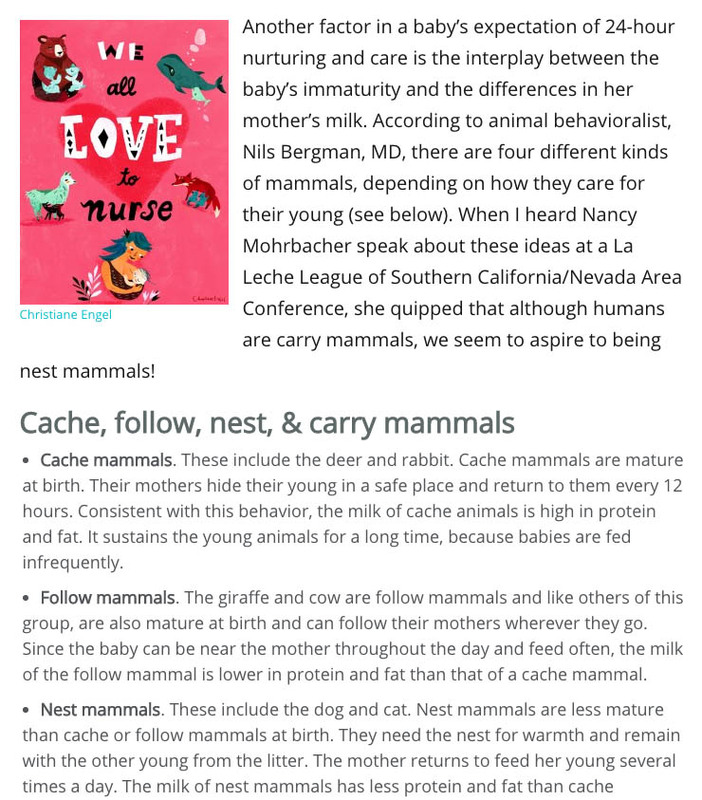 It's published in La Leche League's Breastfeeding Today alongside my poster We All Love To Nurse. Read the whole article Why Babies Need to be Carried and Held.